NOS tube 6C6 various brands, this pentode is similar to 277A and 329A with 6 pin, 6,3v and 0,3 amp, indirect heated, grid on top. 6C6 power valve use in amplifier and preamplifier in Triode mode (about 1,75 watts). 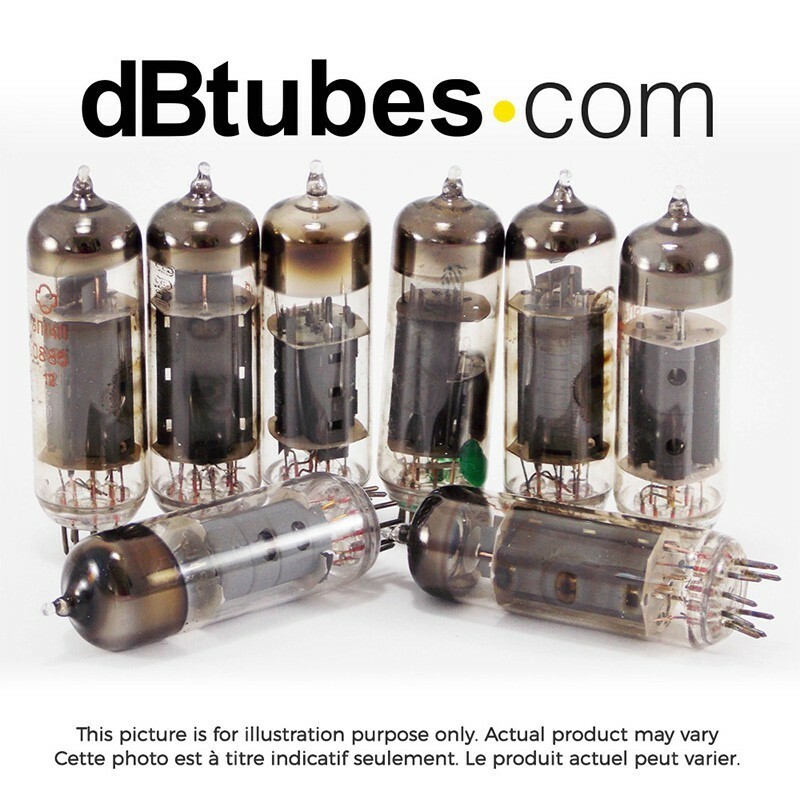 Sylvania publish in 1943 (Sylvania Technical Manual, page 86) about this tube and many applications: triode, pentode, detector.. 6C6 can use as 6J7G with a socket adaptor (not avalaible in dbTubes store).